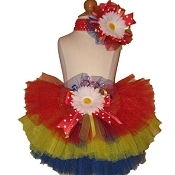 Tutu set arrived earlier than promised and the quality is outstanding. Soft skirt layers are fluffy and perfectly made. The flower headband and skirt accent are beautiful. Colors are bright and fun. 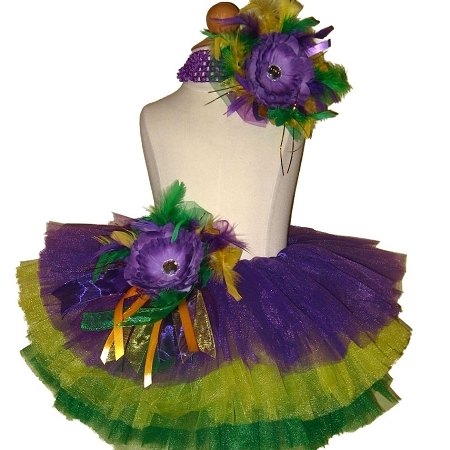 Perfect for my daughter's Mardi Gras birthday party! I was very satisfied with my tutu. 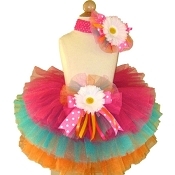 The tutu is fabulous and it arrived on time.